An additional 30 are missing, according to a statement by MSF. The death toll is expected to rise, although the medical charity said it believed all of its international staff had survived. The strikes took place around 2:10 am in the northern city of Kunduz and continued for another 30 minutes, MSF said. At the time, the hospital had 105 patients and caretakers, along with 80 staff. MSF said it had circulated coordinates of the trauma center’s location to all sides fighting in the country, including Kabul and Washington. Fighting broke out earlier in the week. 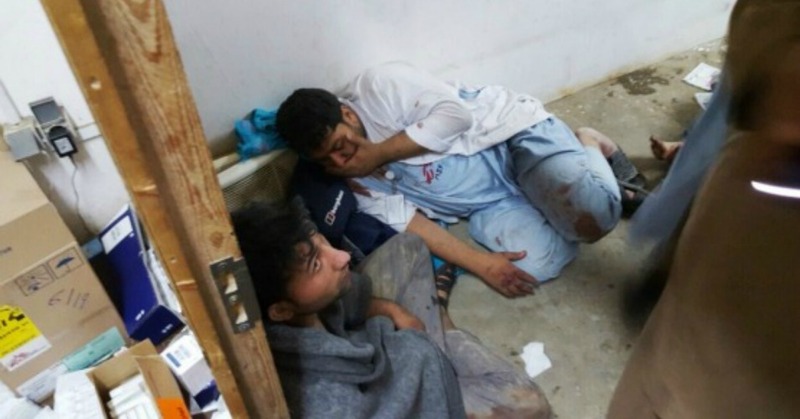 MSF said its Kunduz center treated 394 patients since clashes began on Monday. At the aid group’s bombed-out hospital, one wall of a building had collapsed, scattering fragments of glass and wooden door frames, and three rooms were ablaze, said Saad Mukhtar, director of public health in Kunduz. [….] Many patients and staff remain missing after the attack which happened when almost 200 patients and employees were in the hospital, the only one in the region that can deal with major injuries, said Medecins Sans Frontieres, which is based in Switzerland. This entry was posted in Government, Health Care, Human Rights, Human Spirit, International Agreements, Military, Religion, Terrorism, War Crimes and tagged Afghanistan, Atrocities, Doctors Without Borders, Health Care, Human rights, Human spirit, International Agreements, religion, War Crimes on October 4, 2015 by ew.